Beowulf is perhaps one of the best known stories of the Norse sagas, and it's been turned into several films. The 2007 film was motion capture with 3D animation, and it was lent the forms and voices of starts like Sir Ben Kingsley, Angelina Jolie, John Malkovich and a wide list of others to once again tell the ancient tale. The Danes are being ravaged by a beast from the blackness, a troll named Grendel that is a match for any ten men and more. A call for help goes out and the great hero Beowulf, a geat of renowned strength and battle skill, comes with his men to face down this troll. a mighty battle ensues in which several men die, but Beowulf tears Grendel's arm off before the thing vanishes into the night. However, Grendel is the least of the geats' problems. Grendel's mother is an enchantress, and when Beowulf goes forth with the intention of slaying her, he's mesmerized. He declares to the king that the witch is dead, but the king knows better, and throws himself to his death. The film skips ahead to Beowulf as king, advancing technology, culture and history by centuries rather than a few decades in the process. As an old king Beowulf just wants to go out in a blaze of glory, as he lived his youth rather than how he's spent his middle age. When a dragon, the spawn of his union with the witch while enchanted, attacks he sees a chance to revenge himself upon the witch, to die a heroic death and to save his people from a true threat. He dies, but in the process also kills the dragon and saves his people from the mistake he made so long ago. 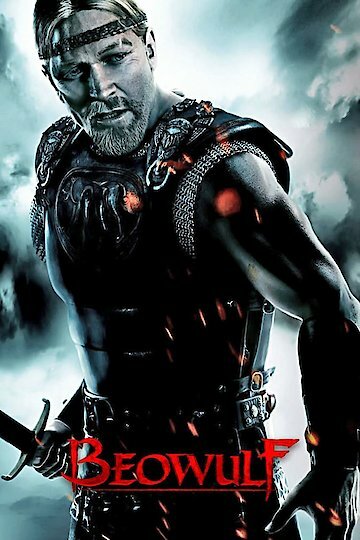 While not exactly faithful to the traditional myth, and not even wholly faithful to the version written by Neil Gaiman that the film's based on, Beowulf combines action with adventure and intrigue. Beowulf is currently available to watch and stream, download, buy on demand at Amazon Prime, Hulu, Vudu, Google Play, iTunes, YouTube VOD online.